On July 21,1798, at the Battle of the Pyramids, Napoleon’s troops defeated Murad Bey and Ibrahim Bey, ending almost 700 years of Mamluk rule. This victory completed Napoleon’s conquest of the country and he and his men entered Cairo triumphantly. The French ruled Egypt for only slightly more than two years, but during that time some of the finest minds of the Enlightenment came to study the country and its treasures. Among their achievements were creating the field of Egyptology and discovering the Rosetta Stone, which was the key to understanding hieroglyphics. The short French rule of Egypt had an enormous impact on Egyptian society and culture. The ideas of the post-revolution Enlightenment they brought with them introduced the closed Muslim society of Egypt to new concepts. They let me look at some books, large and small, some of which I had never seen before, some of which [I knew to be] famous — and all either in the physical sciences or in literature. They put me at my liberty with their astronomical and engineering equipment, then they discussed with me various matters in these fields, writing down what I said. 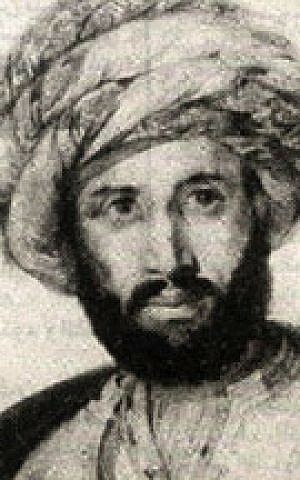 Attar went on to become the Grand Imam of al-Azhar from 1830 to 1835, and was first a lecturer at al-Azhar University, later becoming the rector of the school. One of Attar’s close students was Rifa’a al-Tahtawi, who was sent by Attar to France for five years to study more of these modern ideas. When Tahtawi returned he became a founder of the al-Nahda movement, which advocated modernization and reform. At the same time, he introduced ideas of patriotism and along with Pasha Muhammad Ali was crucial in creating the modern Egypt nation. Tahtawi’s ideas ultimately led to the modern Egyptian nationalism, personified in Gamal Abdel Nasser, pan-Arab nationalism, including Palestinian nationalism. The influence of al-Nahda reaches to the Muslim Brotherhood of today. Patriots who are faithful in their love of homeland redeem their country with all their means, and serve it by offering all they possess… The love of homeland and the promotion of the public welfare are among the beautiful characteristics… No one could be happier than the human beings who are naturally inclined to keep evil away from their homeland, even if they must harm themselves to do so. Tahtawi’s words are an echo of Joseph’s plan, introduced to us in this week’s Torah portion when he interprets Pharaoh’s dreams. Joseph revolutionized ancient Egyptian society by introducing patriotism and nationalism to the people. After two years in jail, Joseph was brought to the palace to interpret Pharaoh’s dreams of seven thin cows devouring seven fat cows and seven lean stalks of grain consuming seven fat stalks. Joseph told Pharaoh the dreams foretold seven years of plenty which would be followed by seven years of famine. But Joseph went further. He told Pharaoh that the only way to prepare for the famine was to create a national identity that would cause people to give up everything they own for the greater good of the country. Joseph accomplished this transformation of the nation by spending his years in office going throughout the land wearing the fine clothing that Pharaoh gave him, encouraging all the people to be patriotic. I wonder if it is possible to make a comparison between the way Joseph instilled the Egyptian people with a sense of patriotism to the modern era. Sure, there are many differences between Joseph’s goals and those of modern leaders like António de Oliveira Salazar, Mustafa Kemal Atatürk and other nationalists. But there are also some similarities. 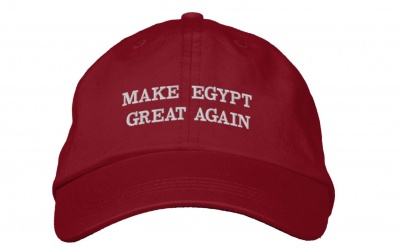 Were Joseph’s clothes the equivalent of a baseball cap saying “Make Egypt Great Again”? Did he travel the country speaking at rallies to encourage the people to put Egypt first? By touring the country in his finery, Joseph saved not only the entire nation of Egypt, but also those from surrounding countries (including his own family) who were forced to come to him to get food to survive. Joseph was a hero to the Egyptians, and rightly so. He prevented a national disaster on an unimaginable scale. And he did this through creating a national identity around the cult of his personality and introducing patriotism to the extent that the Egyptians were prepared to forego their own personal needs to do what was best for the country. I wonder, though, whether the nationalism and patriotism that Joseph instilled within the nation, were also ultimately what led to the enslavement of the Jews by the Egyptians led by another Pharaoh a few years later. The slavery in Egypt began when Pharaoh was worried that Israelites, as foreigners, would seize control of the land. As Rashi explains there, Pharaoh’s fear was not actually that the Israelites would leave, but that they would gain too much control over the land of Egypt, and eventually force the Egyptians themselves to go into exile. Nationalism is a powerful tool. It saved the Egyptians of Pharaoh’s time and in the modern era brought the enlightenment to Egypt. But it is a two-sided coin and can also lead to xenophobia, irrational fear of those from other countries and demonization of any citizens who are not viewed as the “true” citizens of the country.